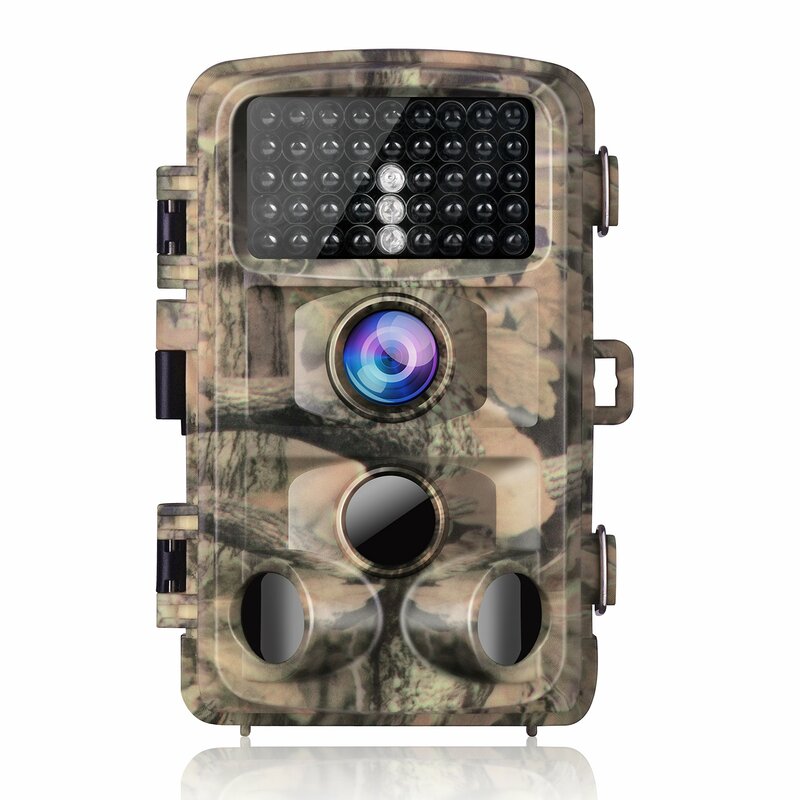 Featuring 14MP and 1080P resolution,the trail camera allows you to enjoy the wonderful animal world. 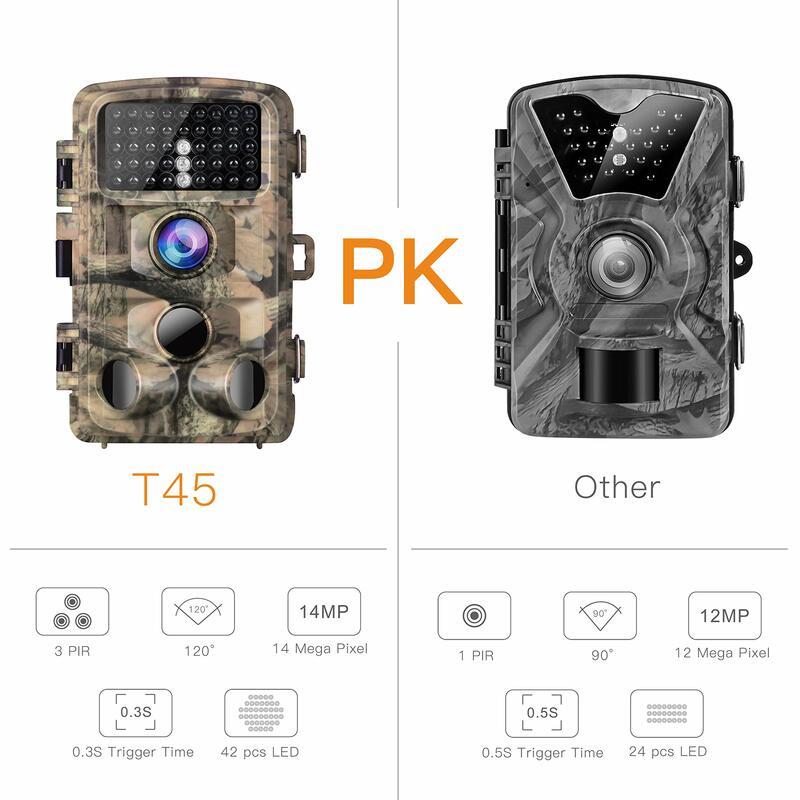 3 passive infrared sensors design can save more battery power at the same time as working,and increases sensitivity which makes it triggered in shorter time of 0.3S with longer distance up to 20m(65ft). 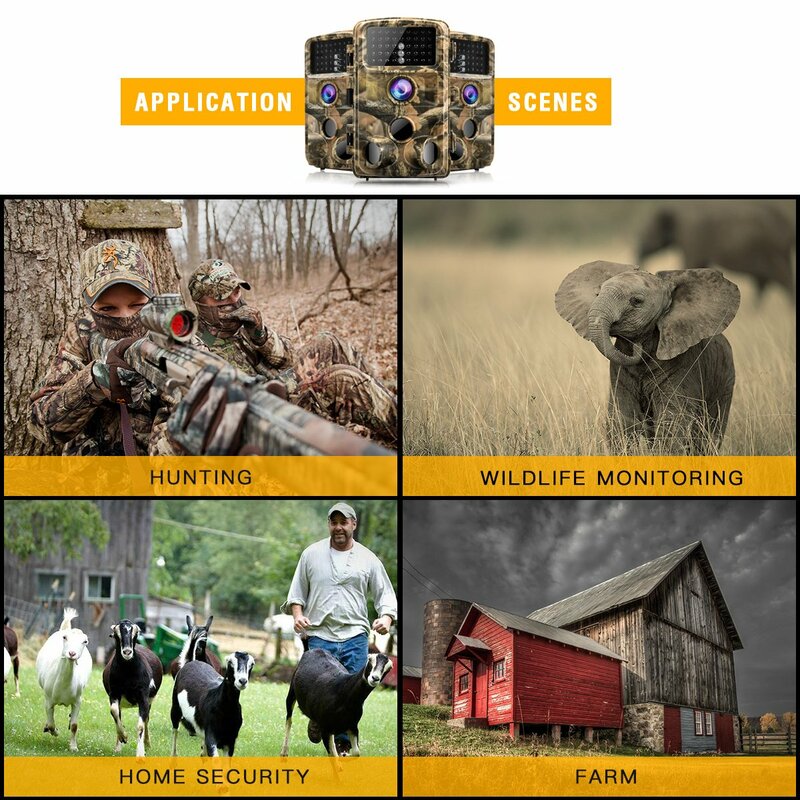 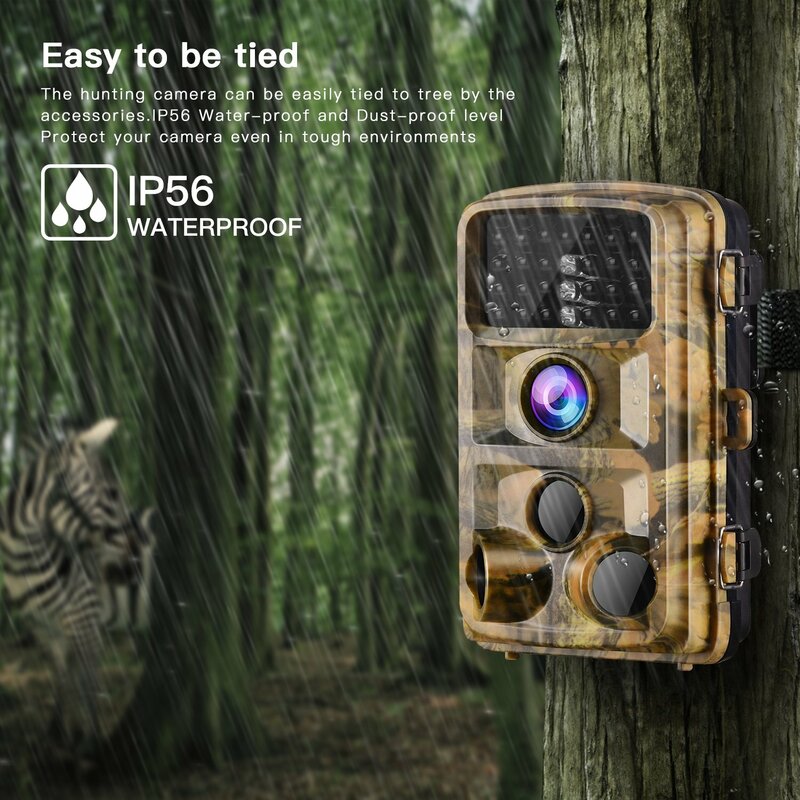 With the features of the hunting camera,it can be applied to other activities apart from hunting as you wish.You could set the protection password to offer protection to the data in the scouting cam.The operation temperature is -20℃~60℃. Micro SD card and batteries aren’t included in the package. 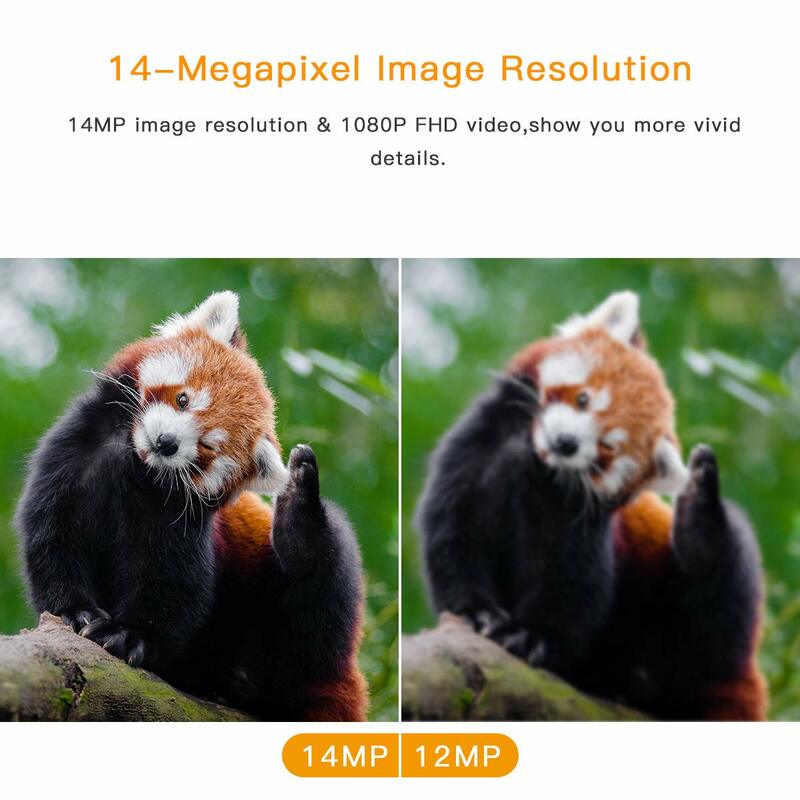 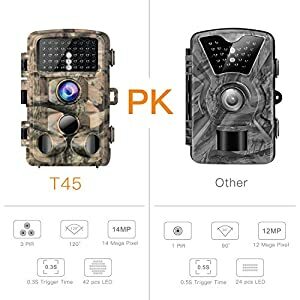 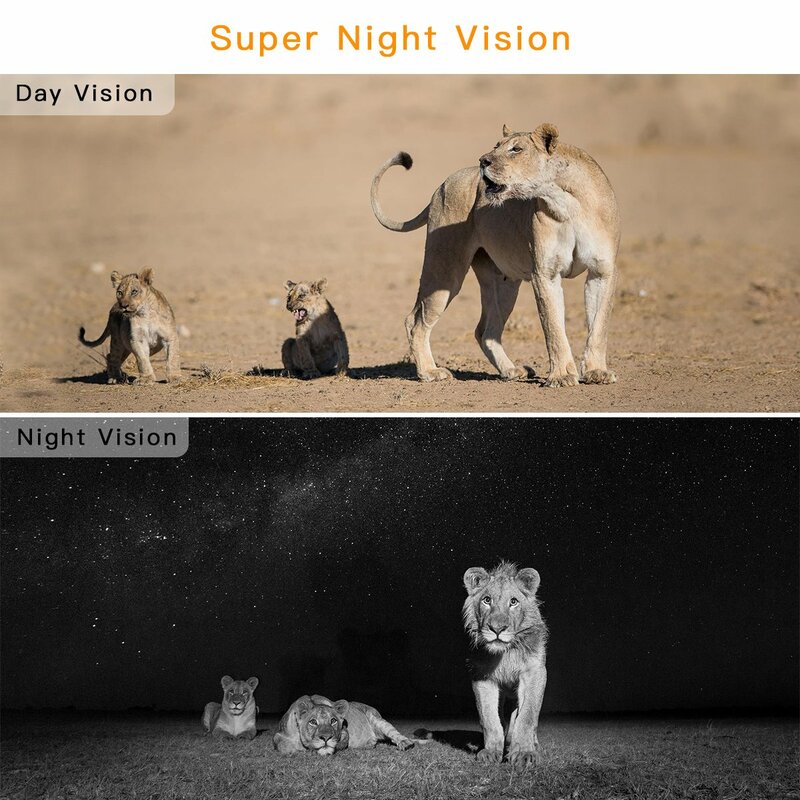 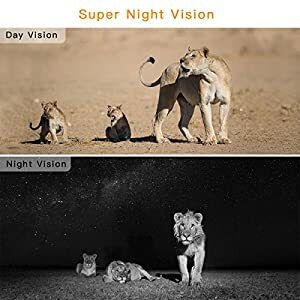 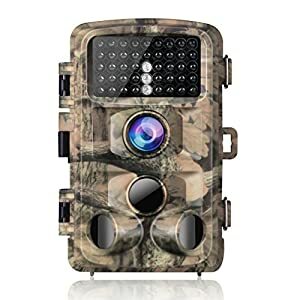 ◀ 14MP Clearer Image + 1080P Sharper Video Resolution ▶The trail camera captures 14 Mega Pixel crystal images and full HD 1080P videos,providing more high-quality details all through daytime(black and white at night).You could easily see the vivid world of wildlife. 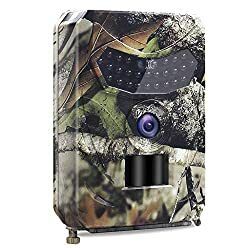 ◀ Faster 0.3s Trigger Speed ▶Once detecting the movements,the hunting camera will be triggered instantly in 0.3s without delay.You’re going to never miss any exciting moments even at night.The trigger distance is up to 20m(65ft). 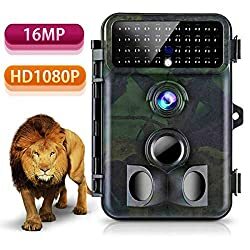 ◀ Excellent Sensitivity and Night Vision with 3 PIR ▶The scouting camera will detect movements of wild animals as soon as they enter the detecting range.With 3 passive infrared sensors,the high-sensitive camera detect and record every breathtaking motion with lower power consumption.The 42 pcs upgraded infrared LEDs without bright flash can let you catch any moment even at dark night.850nm invisible infrared technology Strengthen super clear night vision. 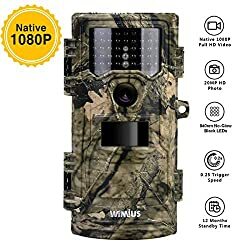 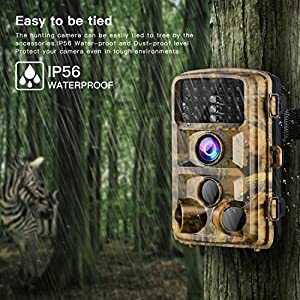 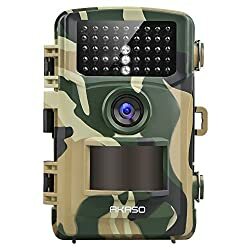 ◀ 120° Wide Angle Lens + Waterproof Sturdy Device ▶The game camera is equipped with 120° detecting range,which lets you get excellent broader view.It is going to record any animal movements you need with wide angle lens even in rainy days.